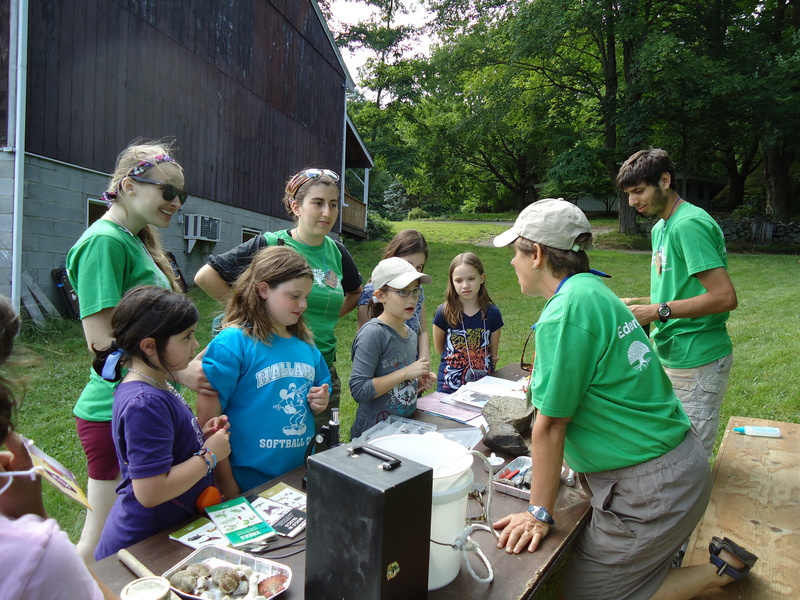 Posted by Jill S. Schneiderman in Ecozoic, Eden Village Camp, environmentalism, Jewish spirituality, meditation, Rabbi Jeff Roth, Vegetarianism/veganism. 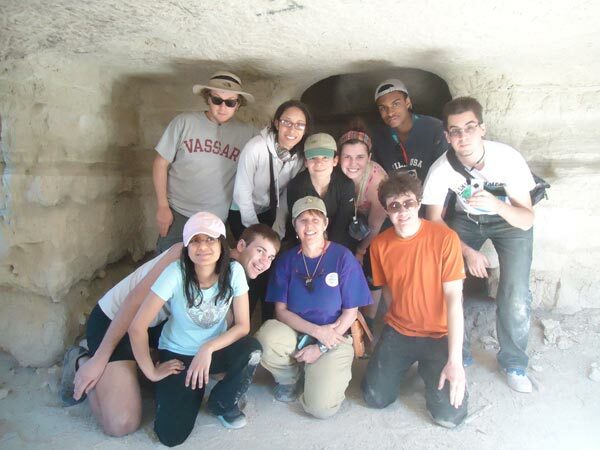 and taken my Vassar students to Kibbutz Ketura on our March 2014 study trip. 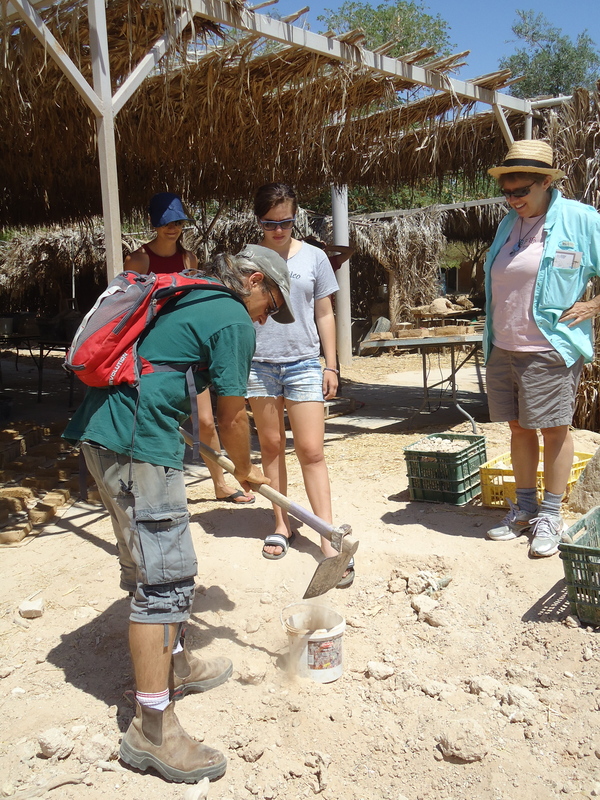 Note that althought Kibbutz Ketura is up to some interesting work, we also visited Kibbutz Lotan where there is some very interesting work going on in earth building and permaculture. I’ve also visited the Israel School of Herbal Medicine and spoken to rabbinical students on retreat at the Isabella Freedman retreat center. But i’d also like to add that the Institute for Jewish Spirituality, though not connected explicitly with Jewish agriculature and sustainability has been a thought leader in encouraging pluralism and spirituality among Jews. It’s an organization not to be missed. And I’ll also add the fact that I hope that in the future, students will come to Vassar as students to learn about Jewish environmentalism through our Jewish Studies and Earth Science programs with field work opportunities on the Vassar farm it’s CSA, the Poughkeepsie Farm Project, as well as nearby Eden Village Camp! Finally, a salute to Rabbi Jeff Roth who has been ahead of the curve on all of this. Check out his Awakened Heart Project! 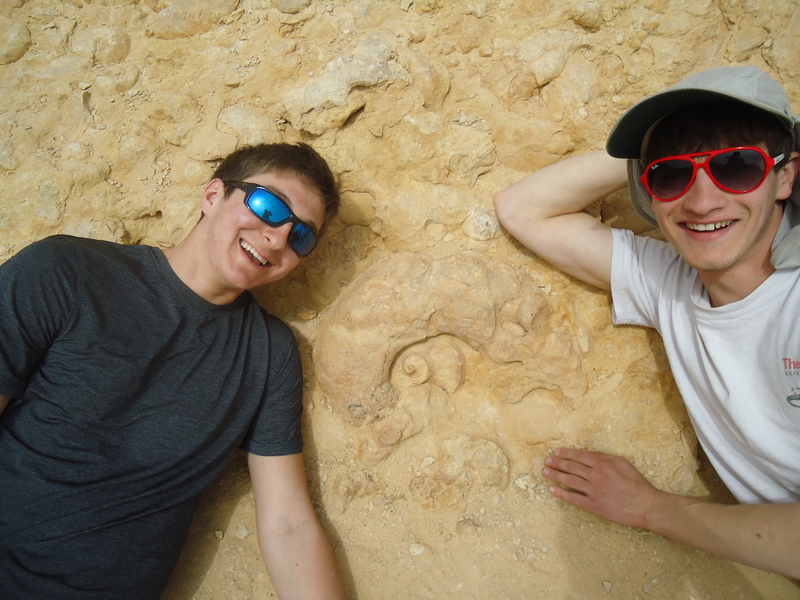 Posted by Jill S. Schneiderman in Ecozoic, Israel, Palestine, Study Trip, Water. Among the many enlightening stops along our travel trip itinerary in March was a tour of the Jordan River Peace Park led by Friends of the Earth Middle East. 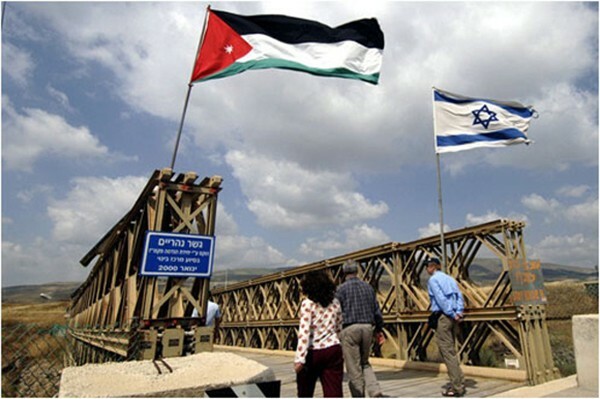 The proposed park would cross the border between Israel and Jordan on the lower Jordan River. The area sits six miles south of the Sea of Galilee. An area of immense historic significance, the proposed park also sits amid a major migration corridor along the Great Rift Valley, and some 500 million birds fly over the area twice every year. One proposed idea is to flood a now-dry lakebed and create a bird sanctuary. 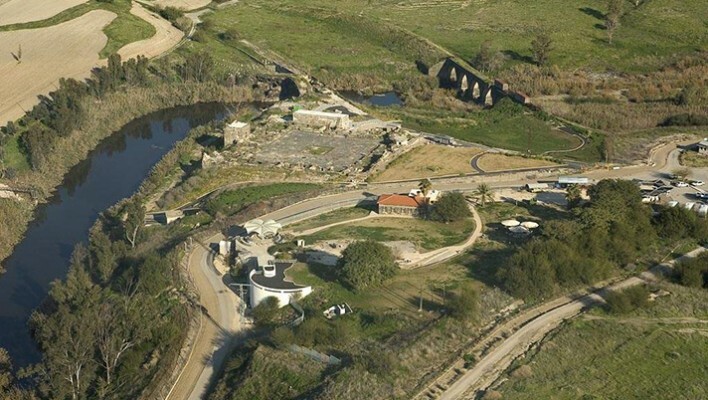 Here’s a link to my alma mater’s story on the recent collaboration of a team of architects from the Yale School of Architecture’s Urban Design Workshop (YUDW) and Jerusalem’s Bezalel Academy of Arts and Design to move forward on part of the proposed Israeli-Jordanian Jordan River Peace Park (JRPP), to be the first peace park in the Middle East. Posted by Jill S. Schneiderman in Academic Freedom, Israel, Palestine, Study Trip, Water. On March 23, we returned from a two-week study trip to Israel/Palestine called “The Jordan River Watershed.” We feel confident that as a result of traveling to the region and talking with Arab and Jewish Israelis, Jordanians and Palestinians, our students can now speak knowledgeably about the complex realities of this conflict-ridden place. 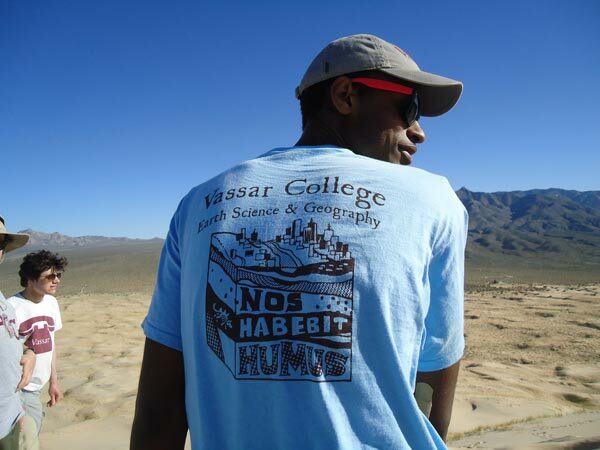 Our trip epitomizes the methodology of the field sciences, as well as the “go to the source” approach that has long been a defining feature of a Vassar education. On our first day, we visited the holy sites of Islam, Christianity and Judaism in Jerusalem. Next, visits to the Arab village of Battir and a nearly century-old Palestinian hilltop farm, Tent of Nations, as well as the Dheisha refugee camp in Bethlehem, provided bird’s-eye views of resource quality and quantity issues in the Palestinian territory of the West Bank. After our introduction to the complicated mixture of communities in this tiny area, we traveled north towards the Lebanese border to the contested volcanic heights of Israel/Syria and familiarized ourselves with the water sources that feed the Sea of Galilee, the largest freshwater body in the region, and the upper reaches of the Jordan River. While in the Galilee, we also visited Nazareth and the ancient Roman city of Sepphoris, remarkable for the archaeological record it provides of Romans, Jews and Christians coexisting peacefully. 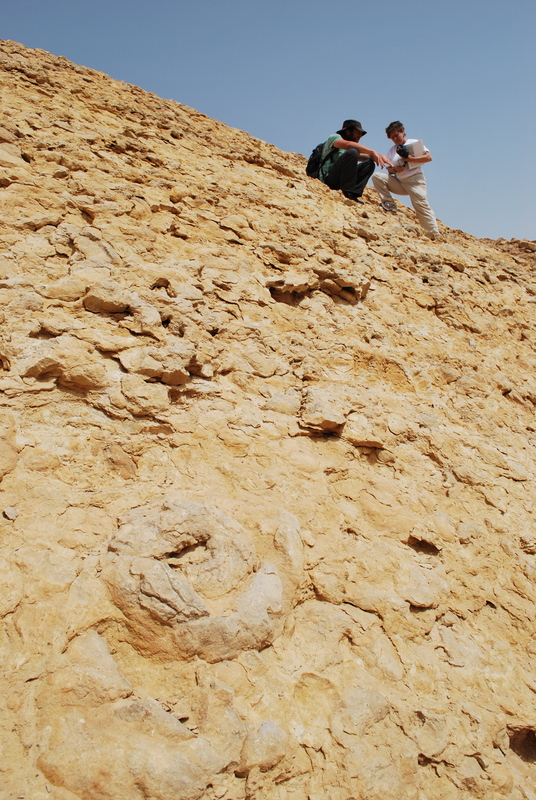 Over the next days, we headed south, traversing the length of the lower Jordan to its terminus in the closed basin of the Dead Sea. Throughout the Jordan valley, we encountered the stark reality of dammed tributaries, water in/sensitive agricultural practices, inadequate sewage treatment facilities, wetland reclamation efforts, land subsidence, mineral extraction industries and, especially notable, unequal access to surface water conduits and groundwater aquifers. At the same time, we were humbled by the awesome spectacle of deep geologic time revealed in the limestone layers of the canyons that we hiked to an oasis of Ein Gedi and the storied copper-bearing sandstone mountains of Timna. We concluded our trip in the southern Negev, learning about communities trying to live sustainably in the harsh desert terrain by employing solar power, dry composting, permaculture farming and mud-plaster building. Throughout our trip we met with Israelis, Palestinians, Jordanians, Christians, Muslims and Jews working together towards justice through nonviolent solutions. Most impressive about these individuals, non-governmental organizations (such as Emergency Water Sanitation and Hygiene in the occupied Plaestinian territory) and educational institutions (Arava Institute for Environmental Studies) was their demonstrated ability to inhabit the gray area between radical extremes. Despite the charges leveled against them, brave people on both sides consistently asserted the need to sustain conflicting narratives simultaneously. As Sulaiman Khatib—a representative from the binational NGO Combatants for Peace who served 10 years in Israeli prison for armed resistance—put it, “Every stone has at least two stories.” Khatib’s line became our mantra as we repeatedly strove to occupy the murky but potentially productive middle space between binary extremes. 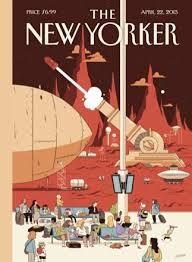 We have, of course, followed the maelstrom of reactions to the trip. We, as the instructors of the trip, have personally been attacked from both left and right. In one account, we are “white settler colonialists” oppressing the Palestinians; in the other, we are “self-hating Jews” pursuing an “anti-Israel agenda.” In fact, people who made little, if any effort to examine the details of our course subject and itinerary have reduced us to stereotypical caricatures. If their narrative is that the two of us are bent on destroying Israel, it is because our support for many of the goals of Students for Justice In Palestine (SJP) and the Open Hillel movement seems irreconcilable with our involvement in our Jewish communities and support (albeit critical) of Israel. If their narrative is that we support a white colonialist regime in Israel, then perhaps they refuse to look at the ways in which we are committed to fighting injustice against Palestinians. Though unsurprised by these reactions, they sadden us, particularly as educators. One especially vexing aspect of the criticism leveled at us is that it has been racialized. In early February, SJP students picketed our course causing some of our students to express feelings of harassment and intimidation upon entering the space of the classroom. We objected to the picket because of its negative effect on those who already felt beleaguered by ill-informed criticisms across campus for enrolling in the course. Discussing the picket during class, our students asked us to relay to administrators in the Dean of the College office and the International Studies program the request for a facilitated discussion between them and SJP members. Despite our repeated requests for such an intervention, none transpired. Since then, our objection to the picket has been characterized by some members of the Vassar community as our use of white privilege to target students of color. If we and our students had been consulted before this conclusion was drawn, listeners would have learned that our students—many of whom belong to racial and ethnic minority groups—were as surprised as we were that the group of SJP protesters were characterized as being “of color.” Furthermore, it would have become clear that we supported the right of SJP students to protest in any number of ways, including ongoing tabling in the College Center, but not inside an academic building at our classroom door. If anyone had thought to speak with us before stereotypically labeling us, multiple competing narratives would have emerged. For example, while the two of us have indeed benefited from the privilege of being seen as within the white majority in our society, we are at the same time in sympathy with the concerns of SJP. Many Vassar students and faculty have expressed their concern that over the last several years, a climate of fear has descended on campus. This fear was confirmed for them during the spectacle at the Open Forum that was held on March 3. In our opinion, the rage unleashed disrespectfully at us at the forum has a gendered as well as a racial dimension. Perhaps one way to begin countering the climate of fear is to work harder campus-wide to engage one another with intellectual openness, listening to the multiple narratives that emanate from the Vassar community. A jumping-off point for this endeavor might be to engage with any one of the 28 breathtakingly thoughtful students who devoted their spring break to the study trip. Though some might caricature these students as having been greenwashed by the two of us or by our itinerary, such spurious depictions underestimate the intelligence of the diverse group of students whom we have been privileged to teach. —Jill Schneiderman is a professor of earth science & geography at Vassar. Rachel Friedman is an associate professor of Greek & Roman studies at Vassar and Jewish Studies. 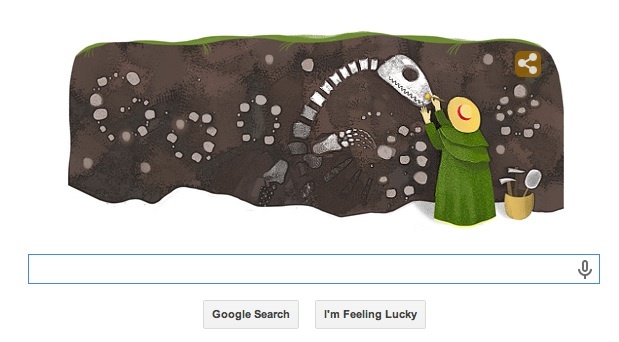 One generation comes and another generation goes but the Earth remains forever. So goes the Ecclesiastical statement that motivated me to wade metaphorically and literally into the sullied and diminishing waters of the Jordan. I’m about to embark on a two-week journey with 28 Vassar students to the Jordan River valley and its surroundings. I was motivated to propose and teach such a course because from my perspective as an earth scientist, I understand how daily and future access to clean water in ample supply is one of the key issues about which people in the region fight. It is also a problem on which Arabs, Jews, Jordanians, Palestinians, and Israelis have worked together with integrity and compassion. And yet, as solid as I was in my commitment to this endeavor before my College’s “Open Forum on the Ethics of Student Activism and Protest at Vassar,” last night I was knocked off-center by a belligerent academic community dedicated to vilifying anyone who dares set foot in Israel. Our trip will take us from the headwaters of the Jordan River near the border with Lebanon down to the shrinking Dead Sea and through the bone dry Arava valley. With assistance from Friends of the Earth Middle East and EWASH (Emergency Water Sanitation and Hygiene in the occupied Palestinian territory), along the way, we’ll meet with Palestinians, Israelis and Jordanians to learn about their perspectives and efforts with regard to the basic human right of ready access to clean water. I hope to have the time and energy to use my blog to process and articulate through mind and heart what I learn on this journey. I’ve deliberately been keeping most of my thoughts to myself these days while marshalling my energy for a substantial writing project. But I’d like to make known an upcoming conference at the University of Wisconsin, Milwaukee (April 2014) on Anthropocene Feminism. Of course, the Anthropocene is a topic of great interest to me and the notion that others are thinking about combining the two, as I like to do as well, excites me. I hope to submit a paper for the conference and perhaps bring students with me.